With or Without a Dedicated Bay! Before, during and after the sale, we are there to help you get the best mileage and wear from your fleet no matter how many vehicles you have. We provide full training after the sale. We can travel to your site and train all your people on our product. 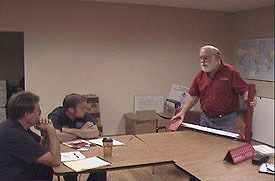 We also offer a comprehensive online training video library. Finally after thirteen years of fighting uneven tire wear and alignment problems, I have found the best thing to happen in that department - M.D. Alignment. What you guys have done for us will not be forgotten, because now we have the book. Thanks to your techniques and support, our diagnosis and repairs are all done in-house, with excellent results and less headaches. A Common Man's Guide is written in a folksy tone...thorough and easy to read. One of the best things about A Common Man's Guide is the occasional handy tip picked up by [Mike Beckett] over the years. ...if you like it, send him [the price]. If not, just ship it back. I'm betting you'll keep it. As the owner of a mobile alignment service and tire consultant to large fleets, I can tell you that the results from the MD Alignment alignment system have been outstanding. 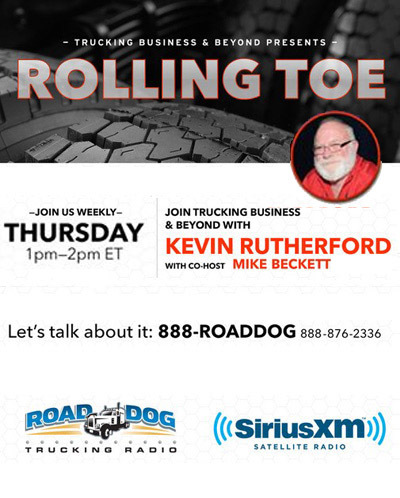 Having worked for a large fleet that was one of the first companies to purchase the MD Alignment system, the increase in tire wear and decrease in driver complaints was truly amazing. 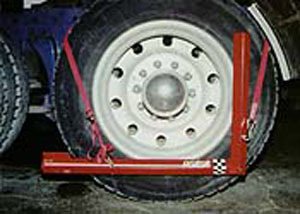 Tire wear and handling issues would vanish after we used the MD Alignment QCT. The same results hold true today for the customers of my mobile service and, as a tire consultant, one of my first recommendations is the customer buy a MD Alignment QCT. Probably one of the main reasons I like this system's original price is it is [about] $50,000 less than the computer system I'd get for our garage. And it is set up in a way that I or any of the employees can run it and understand how it runs and can calibrate it ourselves. It's a straightforward system and, so far, it has been getting good results. We hear a lot of good stuff from our customers. We started on a couple of local fleets which are now having us exclusively do their alignments. These two fleets total up to 40 tucks. Really, this thing sells itself just through word-of-mouth! Hello, I just want to let y'all know that I'm a pretty new driver, 6 years, I listen to Kevin Rutherford and Mike Beckett religiously on the radio. I just got my first MD Alignment done in Fort Worth at Oil Medics and I can't believe how my truck runs afterwards. It runs like a brand new truck. Bill Jewell and his crew are the nicest most honest people I've met in a. really long time. They diagnosed my truck and told me exactly what was wrong and gave me an idea of how long it would be before I needed to take care of each issue. The guys are completely awesome. Bill explained the whole process to me as they were doing it. Believe me it's rare that I come out of the shop with a ear to ear smile plastered on my face. Bill and his crew just got them a customer for life. And I'd also like to thank Mike Beckett for doing what he does, without that radio gig with Kevin I would have never known anything about MD. So thanks all around for what y'all do. 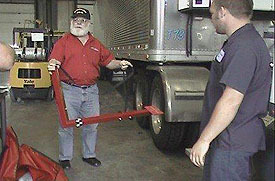 Looking for a local service center who uses the MD Alignment QCT Alignment System in their shop? Check out our easy-to-use locator areas to find the service center in your area today.